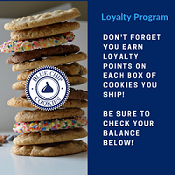 We know, after 36 years of selling the best gourmet cookies, when you are buying a gift someone or for yourself, you are saying "I want it MY WAY" so we made it easy to choose from our current list of cookie flavors this month. We have over 20 flavors to create your collection! Lastly, choose your box theme and tell us what gift message you want to include for FREE! 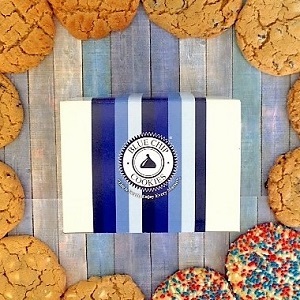 We put one in our signature box and the other 12-14 cookies in your select box. Check out our Cookie of the Day!